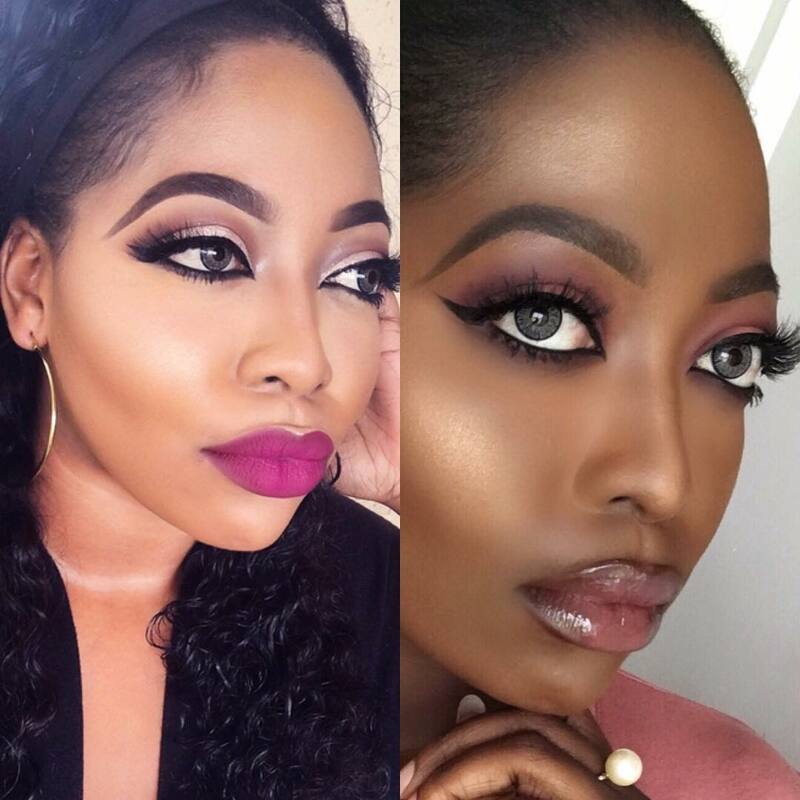 Makeup Artist Tenny Coco Embraces Her Black Skin In This Emotional Post After Bleaching Since She Was 19! 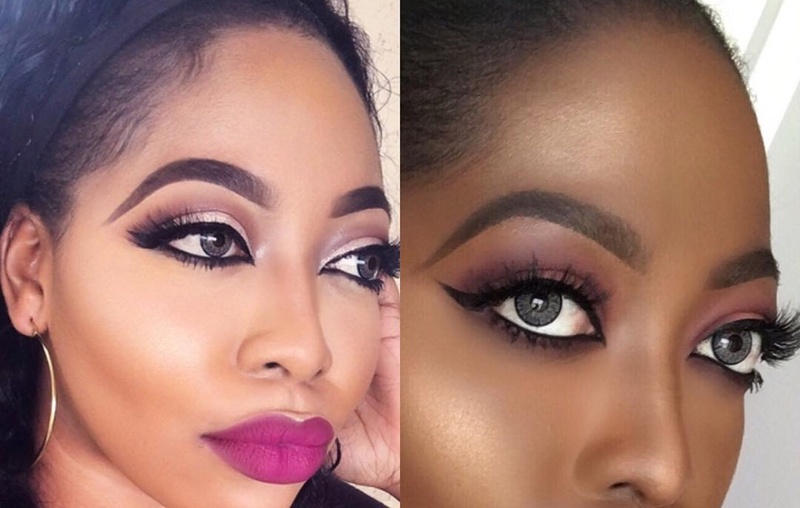 In a lengthy and emotional post on her Instagram page, gorgeous makeup artist, Tenny Coco, shares how she decided to give up bleaching her skin – something she’s started since she was 19. My Road to Melanin At the age of 19, I started lightening my skin….. By the time I was 20, I had become a heavy Skin bleacher… at the time it felt almost normal, I felt like I looked more attractive….. it became an addiction, I just couldn't stop. I craved so much to be lighter.. I felt being black wasn't beautiful enough. What a stupid way to have thought… I guess the society we live in played a little role in my decision to bleach my skin… coupled with being very Naive at that age. It's widely perceived that the lighter you are, the more beautiful you look. To be honest I always knew it was a bad thing… I mean, I had seen loads of people with ridiculously damaged skin courtesy the effects of bleaching but I was just so deep into it… like I said it's actually an addiction. As my 25th birthday started approaching I started to do a lot of Soul searching, a lot of self evaluation… concerning every area of my life and I finally started to see the light… to see how crazy I had been all these years… how crazy it was for me to have believed that my black skin wasn't beautiful, to have allowed myself to feel inadequate or to try and tell God ' how you created me isn't good enough' what a silly, crazy way to have lived. Today I'm more than grateful that I finally saw the light. Black is beautiful! So beautiful! Never have I ever felt as beautiful and as at peace with my skin tone as I do now… Please Love your skin/Yourself the way God has made you…. you are beautiful, you are enough. Time will always tell… imagine how I would look 10-15 years from now if I had continued to bleach my skin. Please don't do it… I did it and I Had/ have so much Regret… it's not worth it. You are beautiful just as you are. I get a lot of messages asking me, how I was able to transition my skin back… I will be sharing all the tips soon enough. Thank you to everyone who helped me get through this…… the Amount of support I have received is enormous… Thank you. At the age of 19, I started lightening my skin….. By the time I was 20, I had become a heavy Skin bleacher… at the time it felt almost normal, I felt like I looked more attractive….. it became an addiction, I just couldn’t stop. I craved so much to be lighter.. I felt being black wasn’t beautiful enough. What a stupid way to have thought… I guess the society we live in played a little role in my decision to bleach my skin… coupled with being very Naive at that age. It’s widely perceived that the lighter you are, the more beautiful you look. To be honest I always knew it was a bad thing… I mean, I had seen loads of people with ridiculously damaged skin courtesy the effects of bleaching but I was just so deep into it… like I said it’s actually an addiction. As my 25th birthday started approaching I started to do a lot of Soul searching, a lot of self evaluation… concerning every area of my life and I finally started to see the light… to see how crazy I had been all these years… how crazy it was for me to have believed that my black skin wasn’t beautiful, to have allowed myself to feel inadequate or to try and tell God ‘ how you created me isn’t good enough’ what a silly, crazy way to have lived. Today I’m more than grateful that I finally saw the light. Black is beautiful! So beautiful! Never have I ever felt as beautiful and as at peace with my skin tone as I do now… Please Love your skin/Yourself the way God has made you…. you are beautiful, you are enough. Time will always tell… imagine how I would look 10-15 years from now if I had continued to bleach my skin. Please don’t do it… I did it and I Had/ have so much Regret… it’s not worth it. You are beautiful just as you are. I get a lot of messages asking me, how I was able to transition my skin back… I will be sharing all the tips soon enough. Thank you to everyone who helped me get through this…… the Amount of support I have received is enormous… Thank you. We wish you all the best Tenny! #LFDW2017 – For Titi Belo, It Was All Chic & High Street Wear At Its Finest! #LFDW2017 – The Streets Came Alive In Style For Day 2!